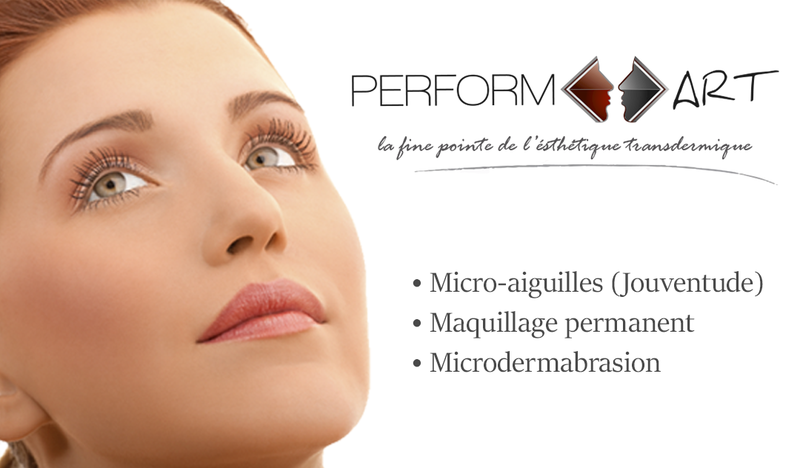 Perform’Art is a high-tech Quebec company specializing in the design, manufacturing of technologies and transdermal medical-aesthetic care systems. The company also gives training related to its area of ​​expertise. Our technological and patented innovation THE TRAIT D’ART © allows painless and effective treatments whether it is in dermopigmentation and / or rejuvenation of the skin. All our devices are 100% made in Quebec. The founder and President of the company Mrs. Céline Bonhomme, is an esthetic enthusiast who has traveled the world since 1993 in search of the best tools and techniques for semi-permanent makeup. Several trainings on existing machines, pigments and pigmentation techniques have led Ms. Bonhomme to travel several countries such as France, Spain and the United States to find, for its customers, the best dermo-pigmentation technology . Dissatisfied with existing devices and always looking for avant-garde and better adapted solutions, she decided to develop her own device. Driven by her curiosity and her great concern for perfection, this experienced practitioner has surrounded herself with specialized engineers to develop the most efficient dermo-pigmentation device on the market. With the use of her equipment and her vast experience, Ms. Bonhomme has been able to develop a revolutionary technique that allows a much less painful intervention and an unparalleled color scheme.